The 8th Amendment to the Irish Constitution, which gives equal rights to the life of both the mother and her unborn child, was approved by referendum on 7 September 1983 and signed into law on 7 October 1983. In that autumn of 1983, a 15-year old schoolgirl found out she was pregnant. Her name was Ann Lovett. She would have been 50 last month. She would have had a vote in the upcoming referendum to Repeal the 8th Amendment on 25 May this year. But Ann Lovett died after giving birth alone, beside a grotto in a Catholic church in the Irish midland town of Granard, on 31 January 1984. Her stillborn baby was found dead by her side, wrapped in her coat. You can read more here in this recently published article in The Irish Times by Rosita Boland. The 8th Amendment is a brutal and perverted straitjacket on the campaign for full reproductive rights for women. Reproductive rights, full or otherwise, have never been available in Ireland, North or South. The Republic of Ireland, like the North of Ireland, is still governed by the Offences Against the Person Act 1861. Here is a reminder of what it says. Every woman, being with child, who, with intent to procure her own miscarriage, shall unlawfully administer to herself any poison or other noxious thing, or shall unlawfully use any instrument or other means whatsoever with the like intent, and whosoever, with intent to procure the miscarriage of any woman, whether she be or be not with child, shall unlawfully administer to her or cause to be taken by her any poison or other noxious thing, or shall unlawfully use any instrument or other means whatsoever with the like intent, shall be guilty of felony, and being convicted thereof shall be liable to be kept in penal servitude for life. 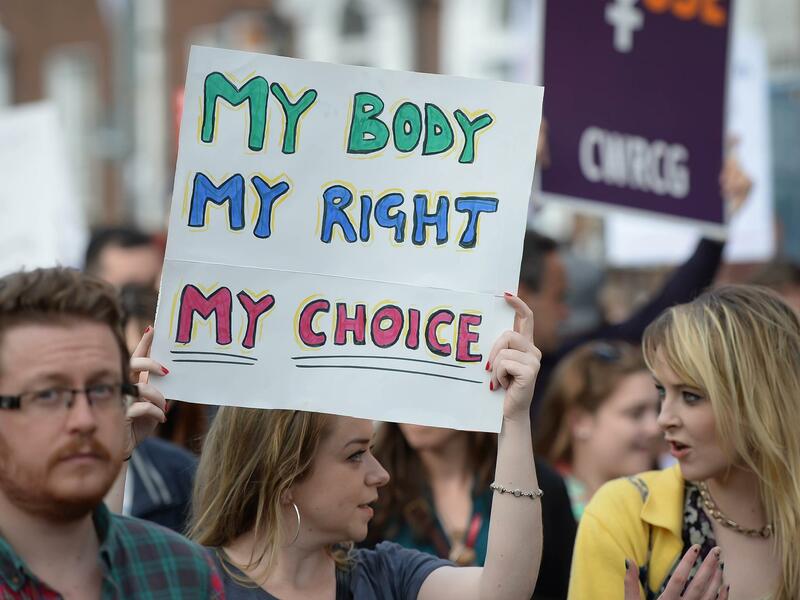 So, what would happen if Ireland introduced free, safe and legal abortion? In Italy, a country where the influence of the Catholic Church is as strong as in Ireland, abortion was fully legalised in 1978. Italian women can request a free abortion for health, economic or social reasons, including the circumstances under which conception occurred. By 1986, the rate of abortions had stabilised at 14 abortions per 1,000 women. By 1990, it had dropped to 11.1 per 1,000 and as of 2010, the rate was ten abortions per 1,000 women. We have seen the lengths which Ireland, Hungary and Poland will go to in their efforts to roll back civil and reproductive rights. We have seen the Hungarian anti-abortion poster campaign run by the state, and the attempt in Poland to introduce a total ban on abortion. Ireland, however, is the only country in Europe where there is a ban on abortion actually written into the constitution.